Aileen joined BSL as Associate Dean, Research in 2016. Previously, she directed sustainability leadership and innovation learning platforms at IMD business school for 15 years, and ran multiple related conferences, roundtables and research projects. An expert case study writer and teacher, she won three prestigious EFMD case writing awards and one each from ECCH and OIKOS. Before IMD, she was program manager for the international NGO WWF, managing portfolios of major conservation projects in Africa/Madagascar and Latin America/Caribbean, before taking a global leadership role as head of WWF’s international project operations. She is on the advisory/executive boards of several global organizations and is guest faculty on undergraduate and executive programs at Université de Lausanne. 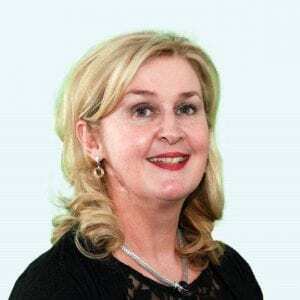 Aileen holds a Ph.D (Business Strategy), MA, Higher Diploma in Education and BA (1st Class Hons. ), from NUI-National University of Ireland, as well as an MSc from Imperial College London.